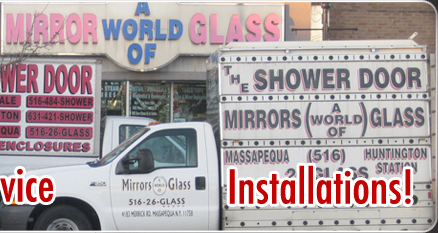 Over 100 years in the glass & mirror business! In the early 1900's when glaziers wore shirts with collars andJoseph Hill was our first generation craftsman. He was a charter member of one of the first glazier unions, Union # 1087; his was the eleventh name on the charter! Joseph's son Larry Hill became a glazier in the 1930's and joined the Brooklyn glaziers union. Larry also worked in the Miami glaziers union in the 1950's. When Larry to New York the Brooklyn glaziers union merged with the New York Union and the charter covered the five boroughs, Long Island and upstate New York. In the 1960's the glaziers union started one of the first glazing schools in the country. Larry became an integral part of this training program, getting the tied to the New York Sate Board of Education. This became the first four year state sponsored program in the country. The apprentices worked a 35 hour week and attended two nights a week for four years. In 1973 Joe Hill joined the glaziers union and attended this program. Joe graduated this program in 1976 while working in the business and becoming the third generation of glaziers in his family. Joe Hill is one of the very few on Long Island to have an accredited N.Y.S. Certificate from the Department of Labor in glazing. With over 30 years experience Joe's expertise in this field has been a tremendous asset in all aspects of this business, from safety to engineering to installation. He has been called upon as an expert witness as part of professional fact and fact determination cases. Over the years Joe has been asked by numerous shower door companies to take part in improving their products, as not everything can be done by computers and architects with unrealistic ideas. When dealing with glass, safety always comes first. 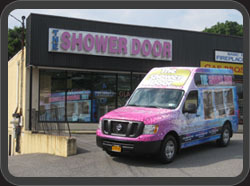 Today Joe runs a strictly retail/residential shower door and mirror company. Joe claims shower doors are their primary business but he will still accommodate clients seeking custom mirror and table top items for the home. 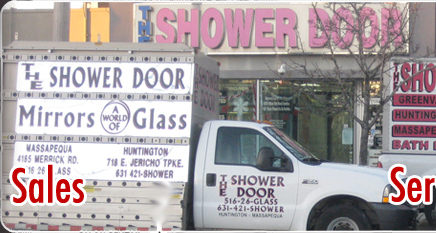 He also has a full in house glass shop business which excludes ONLY auto glass and screens. All glass repairs are done in the shop.